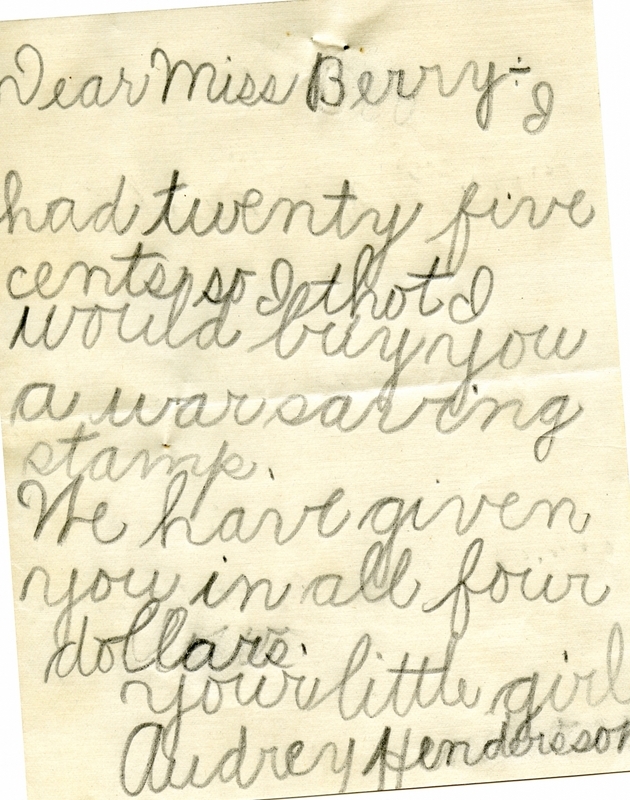 Audrey Hendersson writes to Berry because she saved twenty-five cents and bought a war stamp for Berry. Audrey Hendersson, “Letter from Audrey Henderson to Martha Berry.” Martha Berry Digital Archive. Eds. Schlitz, Stephanie A., Jordan Brannen, Sherre Harrington, Angela McCavera, et al. Mount Berry: Berry College, 2011. accessed April 18, 2019, https://mbda.berry.edu/items/show/57.